Painting & prints - Pap of Glencoe Winter Sunset over Loch Leven, Argyll, Scotland. An original painting and prints of Pap of Glencoe, Sgorr na Ciche, Loch Leven, Argyll, Scotland. An original abstract, atmospheric landscape painting of Pap of Glencoe, Sgorr na Ciche, Loch Leven, Argyll, Scotland. Paintings & prints of Ballachulish & pap of Glencoe, Loch leven, Scotland by Andy Peutherer. 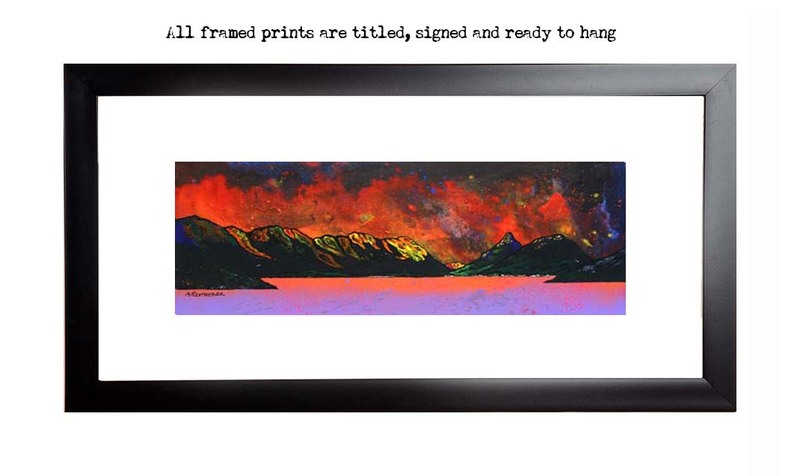 Framed prints of Ballachulish & pap of Glencoe, Loch leven, Scotland by Andy Peutherer. Glencoe paintings & prints - Pap of Glencoe Winter Sunset over Loch Leven, Argyll, Scotland.